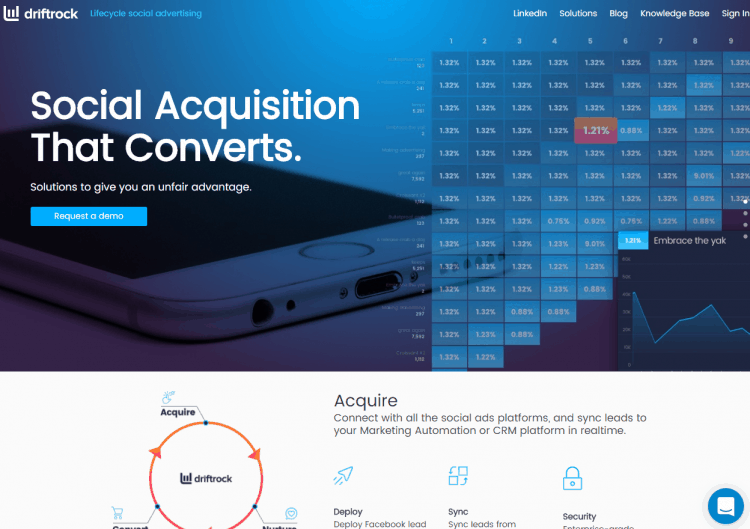 Driftrock is a marketing technology platform to help you acquire, nurture and convert leads from social ads. This is done by connecting into 1st party databases for advanced targeting and lifecycle marketing. With Driftrock, engage with your customers throughout the entire customer lifecycle, from lead to purchase and beyond. The solutions are designed for Marketing and Sales teams to scale lead generation efforts to success. Now, generate leads that convert from Facebook, Instagram, LinkedIn; increase conversion of leads with its lifecycle marketing technology and get strategic advice from world-class ad solutions team. Enterprise-grade uptime, security and backup syncs.